I recently noted that you have to go to the US these days to see considered Indigenous art shows – all in institutions, admittedly, which seem to be taking the presentation of the art more seriously than any State gallery in Oz. Here – with the honourable exception of South Australia's Tarnanthi festival – we currently only seem to get competitive shows (which have their place) or urban politics (which I'll be writing about next week). Suddenly, our commercial galleries appear to be attempting to fill the gap. Winding up this weekend is a serious exhibition of new and secondary market art collated by Adrian Newstead of Sydney's Cooee Gallery – so serious in fact that he's turned his back on his on his own Bondi establishment for the larger and more prestigious space at Stuart Purves's Australian Galleries in Paddington. Purves is associated with names like Arthur Boyd, Sidney Nolan, Brett Whiteley and Fred Williams rather than Rover Thomas, Tommy Watson or Naata Nungurrayi – all of whom look pretty grand on his white walls. 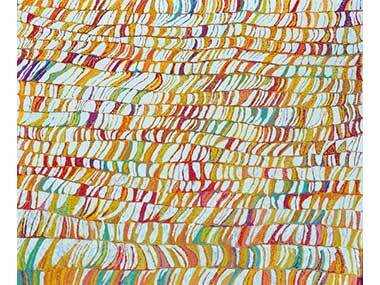 So does Emily Kngwarreye – especially in the 1989 canvas on offer. But we're about to get a feast of Emily: Utopia, her first gallery when the great lady started painting, opens a show dedicated to her 'awelye' (body painting) work in 1994 on May 4th; and the ubiquitous Tim Klingender will return to the Olsen/Irwin Gallery in July with another dedicated show. Hopefully it will contain fewer of the old girl's so-called 'Colourist' period works than did the last Vroom sale that Klingender master-minded at Bonham's. The prominent Dutch collector appeared to have cleared out the Delmore cupboards sometime in 1995! But back to Cooee at Australian Galleries. The oldest exhibiting Aboriginal art gallery in Australia has gone through a number of incarnations – from mainly artefacts to dedicated art centre retailer to frustration with the unpredictability of that system. Newstead now sources from wherever he sees quality, value and constancy – ranging from the Chris Simon ranch outside Alice to Yulparija Artists where he went to commission a magnificent two metre canvas from Daniel Walbidi – who's used the commission to work in a dramatically new style. He also knows the secondary market well from his days with Menzies Art Brands, and as a result he's offering a Johnny Warangkula from 1973, a Yiriwala bark from 1963, a Namatjira watercolour from c1950, and several Warmun and Balgo works from the 90s. I wonder whether the institutions have been to look. 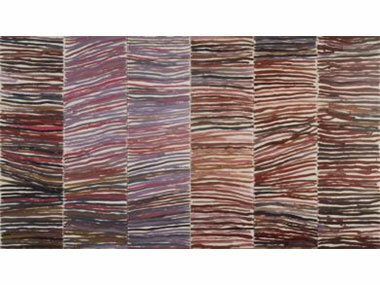 The Rover Thomas 'Jabanunga Rainbow Serpent' really shouldn't end up on a private wall – even at $450,000! Get there tomorrow – 10 to 6pm. This was the beginning of a body of work that was a dramatic breakthrough for Kngwarreye – one that was an almost annual pattern during her eventful eight year career. These lines were ‘awelye’ to her. In simple terms, body paint; but in the Anmatyerre understanding, these lines represented the breadth of knowledge held by the women for their beloved land, Alhalkere. They encompassed the ceremonies, songs, dances, and stories. Perhaps this was why they were so good! From a gallery perspective this new work was very exciting, and for the next few months, Rodney Gooch – Utopia's man in the bush - began to build a collection of paintings and works on paper unseen by anyone else, which eventually formed the exhibition, ‘A New Direction’ in August 1994. In May, we'll see the most comprehensive outing of Kngwarreye’s ‘awelye’ works since then. 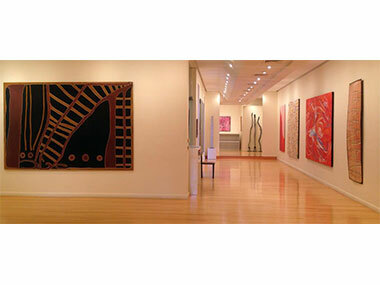 Included are three major paintings that represented Australia at the Venice Biennale in 1997, several works that were exhibited in ‘A New Direction’ 1994, works from Kngwarreye’s retrospectives that toured Japan and Australia, and a few works from private collections never seen publicly before. Isn't that what State galleries ought to be doing? ?